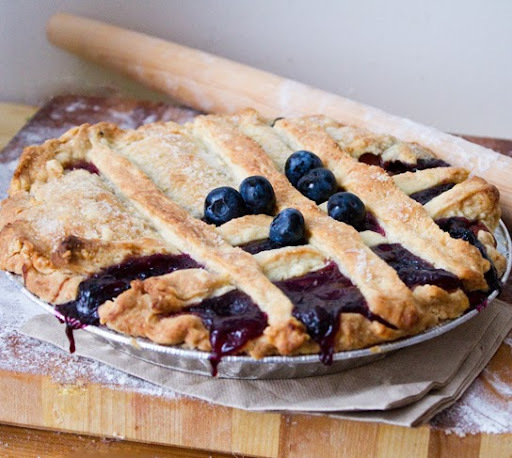 Blueberry & Bosc Pear Pie. with a two-faced pie crust. Two-Faced Pie Crust. 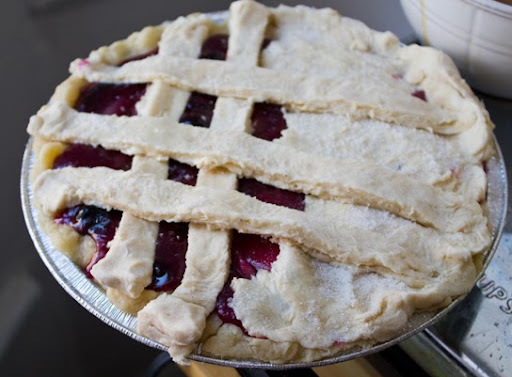 I couldn't decide if I wanted to make a lattice pie crust or a classic full-coverage pie crust. So I did half of each! It worked out beautifully and gave my pie a creative twist. Pear Tip! You don't have to wait until your bosc pears are super soft and tender for pie. Firm pears will actually soften up quite nicely in a baked pie. 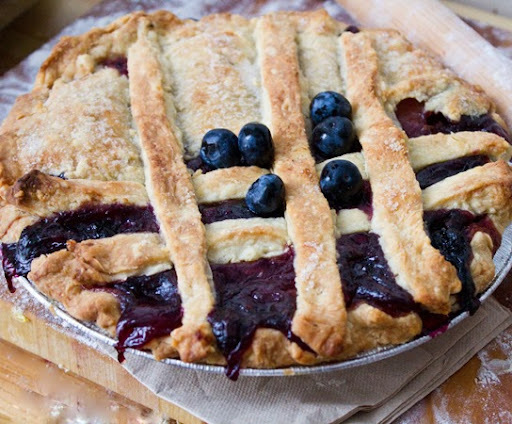 If you are dying to make your own pie crust - go for it! 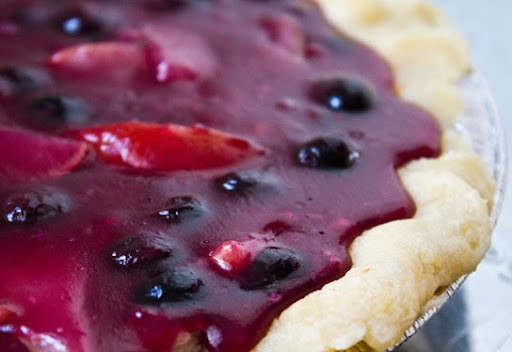 Otherwise you can always use one of the fabulous frozen pie crusts available in stores like Whole Foods. Corn Starch vs. Arrowroot Powder. I personally love both. I prefer arrowroot simply because it has been known to 'digest easier' and is less processed. But really, you can use either thickening agent. 1. Preheat your oven to 425 degrees. (your pie crust should be prepared for filling already). 2. Dissolve the corn starch into the cold cider. In a sauce pan, over medium heat, add all the filling ingredients. Stir gently until the mixture starts to bubble and thicken. Keep stirring over medium heat for about 3-5 minutes. The berries and pears will soften and form their own sauce. 4. Now you can add your top layer of crust. Any design you'd like. 5. Bake pie for 15 minutes at 425 degrees. 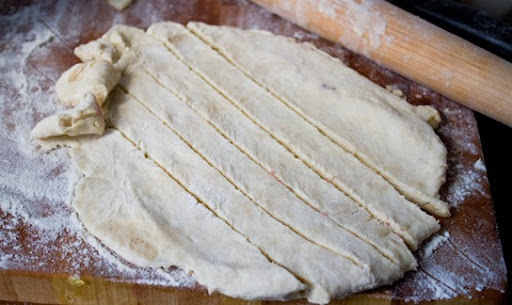 Then reduce to 350 and bake for an additional 25 minutes - or until edges brown. 6. Cool pie. Enjoy!!! Delicious warm or cold.